What does LEED and Energuide Mean? BY kEVIN lYNCH I have been getting more and more questions about LEED and Energuide with regard to their ratings and what they mean lately, so I thought it wise to shed some light on the topic.Below you’ll find a description of two of the most important ways we measure the energy efficiency of a home. Build-Pros Construction Ltd. is one of Canada’s greenest home builders this year for their new home Having just listed a gorgeous new home at 754 Regal Crescent, North Vancouver that happens to have the highest ratings and has actually won multiple awards on the topic this year. 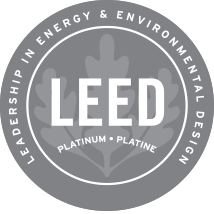 LEED CertificationLEED stands for Leadership in Energy and Environmental Design, and is one of the more rigorous rating systems out there. It appears as a designation in over 150 countries, and is run by the Canada Green Building Council here in Canada. How it works:LEED is a relatively complex rating system based on 8 categories: Innovation & Design Process, Location & Linkages, Sustainable Sites, Water Efficiency, Energy & Atmosphere, Materials & Resources, Indoor Environmental Quality, and Awareness & Education.Homes are rated in all categories, and can achieve a score of up to 136. A minimum of 45 points is required to be certified, with increasing certification levels as points increase. Your cost of running the home decrease dramatically. And EnerGuide rating report will help ensure your home remains highly efficient. A stronger EnerGuide rating showcases the extra care and attention to detail in the building of your home, giving you an improved resale value. You can be proud that you are part of the solution for climate change by reducing your carbon footprint.